Bright Start Academy is a private school for students in Toronto, ON that require additional support in academics, communication, social skills, behavioural support and functional daily living skills. Below is a list of our School Based programs we provide at Bright Start Academy. Contact Toronto’s private school - Bright Start Academy to explore our versatile programs and behavioural support services we provide. This program is for children from ages 4 to 6 years of age. The classroom allows for children to work in small ratios to learn the skills they need to enter School. This is an intensive behavioural support program that gets students that have been in a 1:1 environment ready to work effectively with other students. Students work on Classroom Behaviours/Expectations, Calendar, Pre-Academics such as numeracy and language development as well as getting along with others. Bright Start Academy offers primary school years program for students from Grade 1 to Grade 8. Our classes have a 4:1 ratio. In order to keep students engaged, we use Smart Boards, IPads, Computers and Hands on Practice. The curriculum includes but is not limited to Language Skills, Reading and Comprehension, Direct Instruction, Math, Sciences, Phys-Ed, Music and Social Skills, Behavioural Support. Students are grouped based on age as well as Skill Level. Students that have difficulties with Academics or Social Skills will have the option to have increased behavioural support during specific times of the week. These classes are for those students from Grades 6 to 8. Classes range between 4 and 6 students with 1 or 2 Teaching Staff. 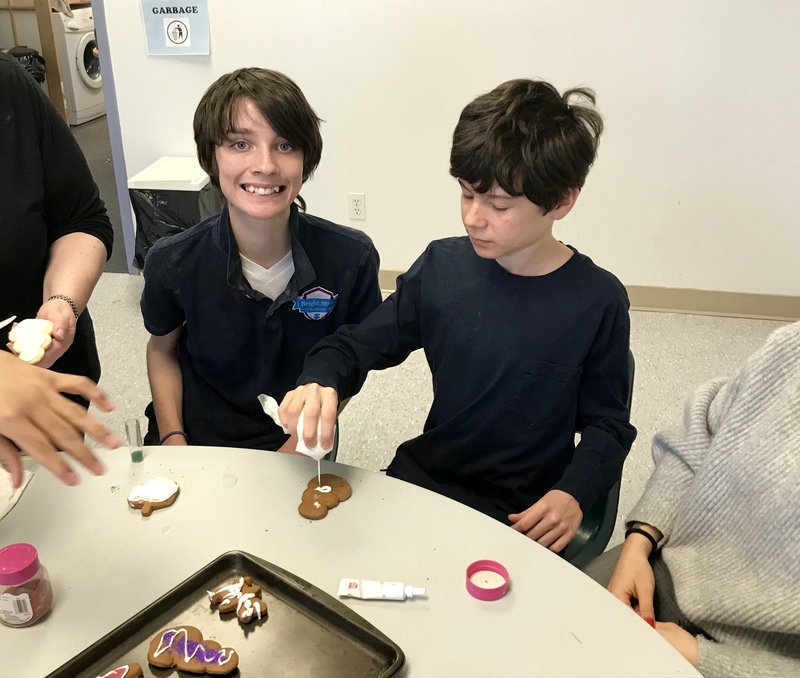 The students that are at or close to grade level will work on a regular time table with an additional emphasis on Social Skills and Self-Regulation. Students that require additional behavioural support will receive additional programming during the week. These students will be placed with the appropriate staff according to the additional behavioural support level required. Fill out the admission form to enroll your child at Bright Start Academy - private school in Toronto, ON. Bright Start Academy - private school in Toronto, ON offers a wide variety of programs to enhance each child's social, academic and life skills as well as provides ABA therapy and autism, behavioural support services to individuals. We provide our services across Brampton, North York, Etobicoke, Vaughan, Scarborough, Thornhill, Mississauga, Toronto, Markham, Richmond Hill and the surrounding areas.